House narrowly votes to fully fund 2018 dividend. Backers say PFDs will be about $2,700. The House voted this morning to amend this year’s operating budget to fully fund this year’s Alaska Permanent Fund dividend. 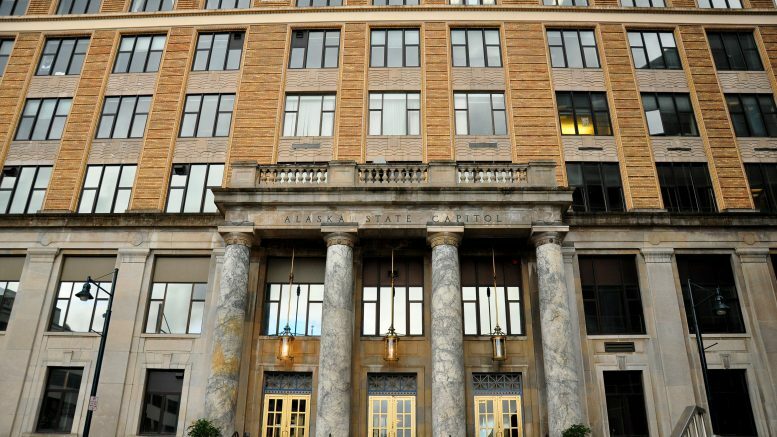 The amendment, which was put forward by a faction of the House Majority Coalition, increases spending from the earnings reserve account of the Alaska Permanent Fund by nearly $900 million, resulting in a PFD that’s expected to be around $2,700. The vote passed on a 21-19 margin that crossed the political spectrum. The increased dividend still needs to survive the Senate, the inevitable negotiations between the House and Senate, and the governor’s veto pen before Alaskans can bank on it. Both the bipartisan House Majority Coalition and the minority House Republicans were split on the measure. Supporters of the amendment included 12 Republicans and nine Democrats. Opponents included 10 Republicans, seven Democrats and two independents (a full breakdown of the vote below). Supporters of the measure said continued cuts to the dividend unfairly place the burden of the state’s fiscal crisis on the backs of the elderly, children and the poor. Some were critical of the Legislature’s overall failure to institute a balanced plan–including taxes on the oil and gas industry, corporate taxes and personal income taxes–forced them to stand by the people affected most by the plan. He added that many people have many different takes on the dividend. Some see the cuts as a tax, he said, and included himself in that category. “It’s unfair for my two-and-a-half-year-old daughter to be paying the same tax as my multi-millionaire friend and as my fixed-income mother,” he said. Opponents of the measure–including many of Tuck’s caucus-members–spoke against the measure, calling it fiscally irresponsible. Rep. Adam Wool, D-Fairbanks, said he was concerned that spending nearly another billion dollars this year would endanger the very programs that many of the affected people rely on. The dividend under the House version of the budget was expected to include a dividend of about $1,270 and the budget offered by Gov. Bill Walker had a dividend of $1,216. The Senate has yet to produce its version of the operating budget, but it has tended to push for a more aggressive use of the permanent fund to pay for government. The House has yet to complete work on the operating budget. The budget still has to go to the Senate, which had scheduled hearings on the bill this week (it’s already cancelled its hearings for Tuesday). The vote also marks a significant break in the 22-member House Majority Coalition. A majority of its membership, 12, voted against the measure while just 10 vote in favor of the change. The Republican minority was also split with 11 members voting for the measure and seven against. Some members of the House Majority Coalition fought to stave off the change with an amendment that would have increased the dividend through an amendment to PFD amendment on Friday, but only to $1,600. That measure was defeated with four House Majority Coalition members split off to side with all minority Republicans in opposition. It’s not the first time the House has tried for a fully funded dividend. The House passed a fully funded dividend last year as part of a take-it-or-leave-it approach when it rolled both the operating and the capital budget into one bill amid legislative gridlock. The move was ultimately rebutted in the Senate. The size of the PFD is set in state law, but has been ignored in last two years out as lawmakers have tried to preserve savings amid plummeting oil revenue. Gov. Bill Walker vetoed half of the dividend in the first year, and the Legislature reduced the dividend through the operating budget in the second. Both moves have are permitted under the Alaska Constitution, which grants the governor line item budget veto power and the Legislature freedom from being bound by a previous Legislature. The amendment passed today by the House doesn’t set a specific number in the operating budget, but pegs it to the state statute. Legislators to cast votes in favor of the amendment include (House Majority Coalition members are in bold) Reps. Eastman, Edgmon, Foster, Johnson, Kawasaki, LeDoux, Lincoln, Millett, Neuman, Parish, Rauscher, Reinbold, Saddler, Spohnholz, Sullivan-Leonard, Talerico, Tarr, Tilton, Tuck, Wilson and Zulkosky. Representatives casting votes against the measure are Reps. Birch, Chenault, Claman, Drummond, Gara, Grenn, Guttenberg, Johnston, Josephson, Kito, Knopp, Kopp, Kreiss-Tomkins, Ortiz, Pruitt, Seaton, Stutes, Thompson and Wool. 1 Comment on "House narrowly votes to fully fund 2018 dividend. Backers say PFDs will be about $2,700." How sad is it that there has to be a vote take to follow or not to follow the State Statutes?